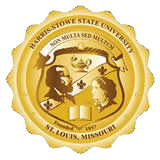 Harris-Stowe State University: Financial Assistance Connect With Us! The Office of Financial Assistance team at Harris-Stowe State University is dedicated to assisting student with applying for Federal Student Aid. Please feel free to contact us with any questions that you may have throughout the process. Mr. Green joined the Financial Aid Team in the fall of 2014. He holds both a B.A. and M.A. in Criminal Justice from the University of Central Missouri. He has more than 20 years experience in financial aid and is excited to be a part of the HSSU family. He is committed to providing students with the best service possible while ensuring all state, federal, and institutional regulations are followed. Mr. Green can be contacted at (314) 340-3502 or via email at GreenJa@hssu.edu. Ms. Widmer joined the Financial Assistance team April of 2018. She brings a wealth of Financial Aid knowledge to our team and looks forward to working with the HSSU Hornet Community. Ms. Widmer can be contacted at (314) 340-3504 or via email at WidmerG@hssu.edu.